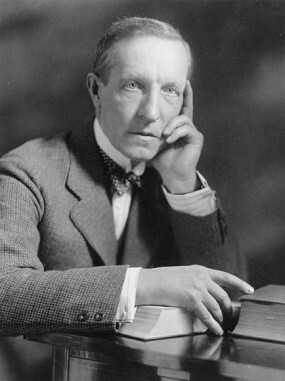 Duncan Campbell Scott was the deputy superintendent of the Department of Indian Affairs from 1913 to 1932 and published nine volumes of poetry from 1893 to 1947. However, he is perhaps best remembered as an advocate of the assimilation of Indigenous peoples. Today, Scott is more likely to be discussed for his role in the establishment of residential schools than his work as a poet. Scott’s desire to “get rid of the Indian problem” displays a lack of regard for the particularities of Indigenous cultures and languages. As well, Scott’s poetry reflects the colonialist myth of the vanishing Indian—a notion that exposure to European cultures would destroy Indigenous ways of life. In his poem “The Onondaga Madonna,” the titular woman holds a baby that Scott describes as the “latest promise of her nation’s doom.” Indeed, according to L. P. Weis, Scott believed Indigenous customs and lifestyles to be outdated, and felt that by assimilating, Indigenous peoples “would provide the ultimate justification for Department policy by becoming a fully enfranchised and Westernized member of English-Canadian society” (30). Scott explicitly racializes a Mohawk woman in “The Onondaga Madonna.” In the second line of the poem, for example, Scott describes the woman as a member of a “weird and waning race.” The line constructs the woman as part of a “race” foreign (“weird”) to the speaker’s own, positioning her as an Other. Weird also has the connotation of strangeness, implying that there is something unnatural and off-putting about the woman’s waning race. 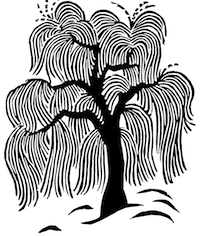 The descriptor waning conveys the notion that the Onondaga are declining in number—a stance typical of the vanishing Indian myth. The following lines, “The tragic savage lurking in her face, / Where all her pagan passion burns and glows,” paint the woman with racialized stereotypes such as “savage” and “pagan” often associated with Indigenous peoples. Scott’s approach to cultural and ethnic diversity reflects essentialist ways of thinking. In this context, essentialism is the notion that the racialized subject carries inherited physical and social traits of the racialized group, and that these traits are the result of genetic transmission rather than shaped through socialization, education, and other socially constructed factors. Moreover, this essentialism is designed, in the case of Scott, to reinforce his own position of power by setting up racialized hierarchies in which the male colonizer reinforces his own superiority. This reinforcement of the power of the dominant group is further reinforced through the circulation of racial stereotypes through different discourses, genres, and media. Throughout the twentieth century, various scholars and writers—including those published in Canadian Literature —have attempted to revive Scott’s reputation. Yet attempts to recover Scott tend to try and separate his poetics from his racist politics. For example, poet A. J. M. Smith worked to revive Scott’s poetic reputation in the first issue of Canadian Literature in 1959, stating Scott’s nature poetry “can take its place beside the best … ever written” (25). In 1986, Weis argued that Scott “held one set of ideals as a bureaucrat and another as an artist” (27). However, it is important to remember that the beauty of a poet’s expression is itself an ideological tool. Sometimes saying racist things in poetic ways makes them seem all the more true and, in turn, make race seem that much more real. By trying to schism the racism of Scott’s poetry from his poetic expression, scholars are ignoring how poetic form was being used as a tool for the dissemination of racism. Ojibwe poet Armand Garnet Ruffo’s “Poem for Duncan Campbell Scott” questions Scott’s authority and his use of poetry to both doom and preserve Indigenous people. While reading the poem, notice how Ruffo’s critique takes up and subverts the style of Scott’s poem. Consider, as well, why an Indigenous poet might write a poem in response to Scott rather than, say, a critical essay. Ruffo is particularly interested in Scott’s dual role as government agent who has come “To make the inevitable less painful, / Bearing gifts that must be had” and his role as a poet who “will make us who are doomed / live forever.” Ruffo’s poem interrogates the relationship between poetry, colonization, and the state while using poetic response as part of the process of decolonization.